Toodle-dee-doo! It's a Book Birthday! It's the big day! 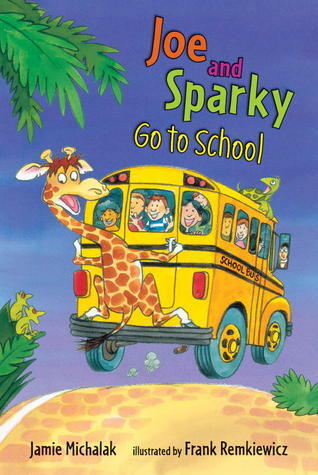 JOE AND SPARKY GO TO SCHOOL releases today. We're celebrating at Scribbling in the Garret, blog of my good friend and fellow author, Cynthia Platt. Cynthia's blog is a must-read. As a children's book author, editor and MFA student (holy cow! ), she knows a thing or two about writing for kids. She blogs about her writing adventures with humor and a healthy dose of pop culture. We had a fun chat about teacher sayings, the Hokey Pokey, and early readers. plus she's hosting a BOOK GIVEAWAY! Just write the name of your favorite teacher in the comments section to enter to win a signed copy of JOE AND SPARKY GO TO SCHOOL. Visit Scribbling in the Garret to check it out. Here's the book trailer for JOE AND SPARKY GO TO SCHOOL. Careful, the tune is catchy! Win a signed copy of JOE AND SPARKY GO TO SCHOOL! Giveaway ends June 11, 2013. Keep an eye out for these new books heading your way this year! JOE AND SPARKY GO TO SCHOOL is listed in the Candlewick Press Spring 2013 catalog. Here's a peek at its page. To download the full catalog, visit Candlewick's website.